Many couples want to include their pets in what is inarguably one of the most important days of their lives. You can add them to your photos or have as the ring bearer during the ceremony. 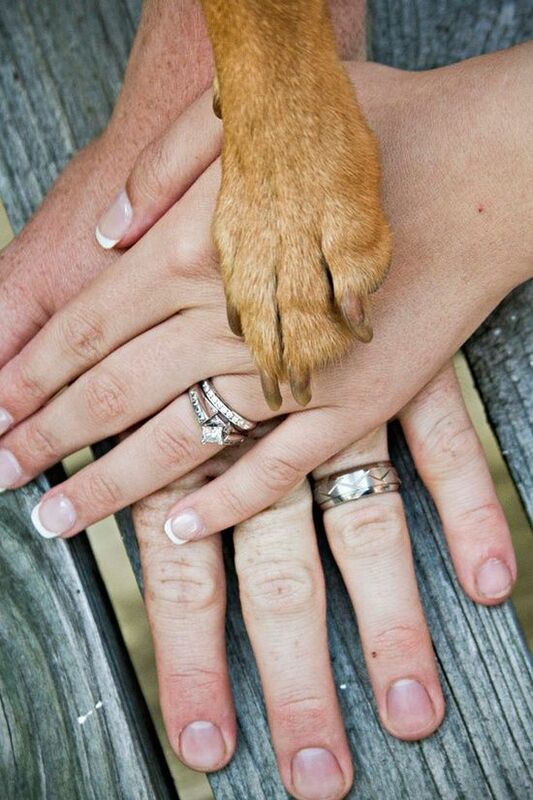 There are literally hundreds of ideas to include your furry or winged pets in your Big Day. Let us find out 15 adorable and easy ways to include your bird, horse, cat or dog in wedding ceremony. 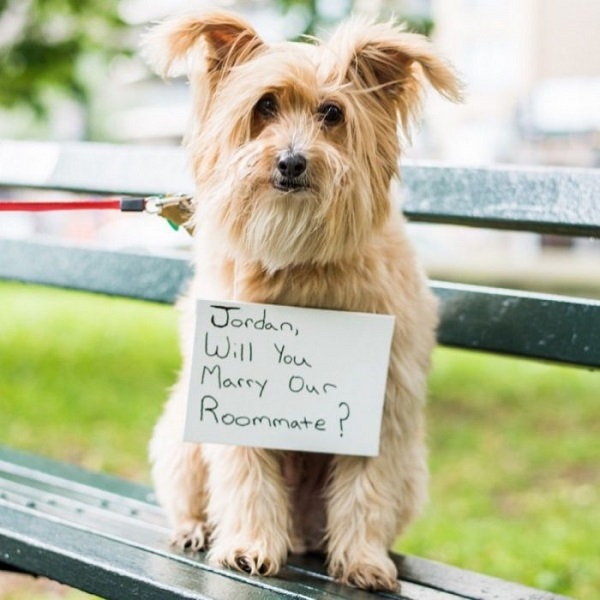 Post a photo of your dog/cat with a board or sign asking your significant other to marry its mom/dad! This is an easy and adorable way to include a dog or cat in wedding ceremony. 3. Save the date using their pics! 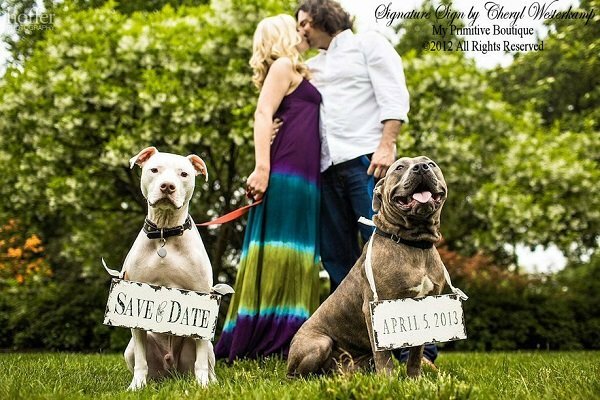 If you have several cats and/or dogs, use them to announce your wedding date. 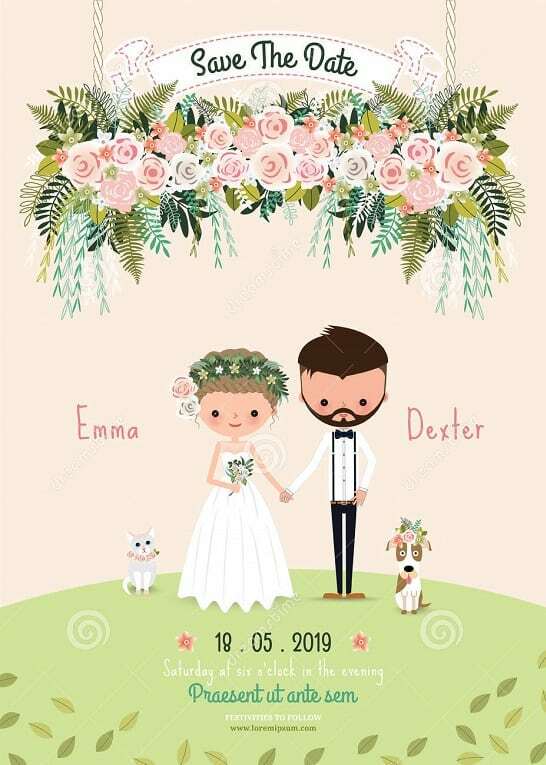 If you are not able to bring dog to wedding service, you could at least add their picture to the stationery. It will also make a memento or a keepsake for life. Animated cards like this one are easy and cute too! Dress up your cat or dog in adorable wedding dresses/tuxedos matching your wedding theme or colors. 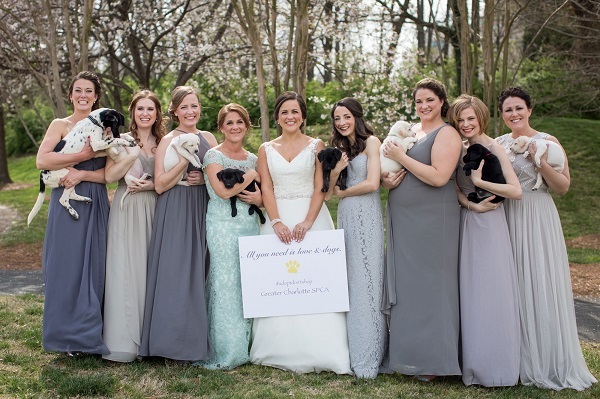 Weddings do not get cuter than this! Cats look great with pearls while dogs will do well in colorful ribbons, bow ties etc. A tutu in pink is ideal for kitten or puppies. Cool shades, hats, scarves, shawls, booties etc are other cool accessories for your darlings. This is a great way to remember pets who have passed away or ones you are not able to bring in on your wedding day. Add tiny pictures of your beloved fur baby on your stationery, favors, table place mats etc. 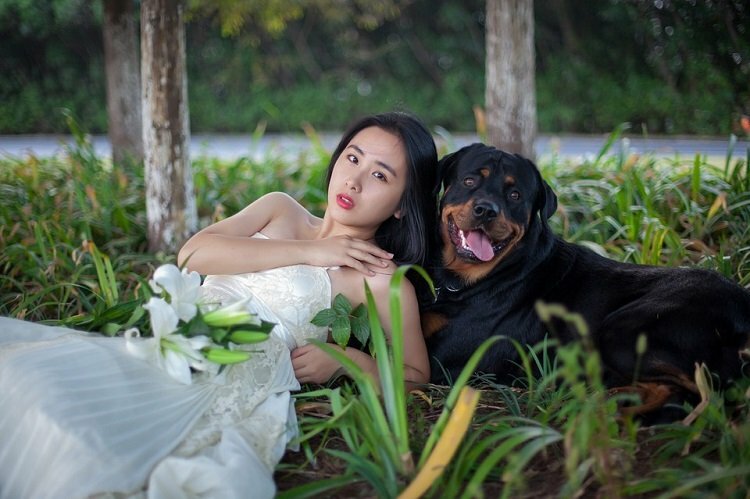 This is a popular one among dog themed wedding ideas. Include pet’s photograph/s on cufflinks, bride’s tiara, boutonnieres, unity candles, bracelets, balloons, stationery, favors, and pretty much anywhere else you can think of. 8. Make them your bridal squad! Best man and bridesmaids need not always be a human! 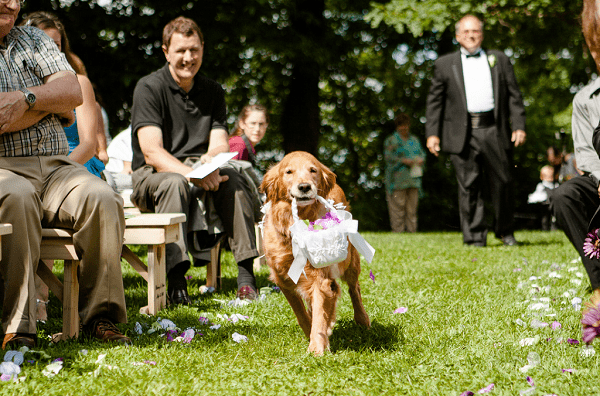 A little bit of dog wedding training and your little one can even carry flowers to the altar! They could also accompany the ring bearer/ flower girls. And this idea is not limited to dogs or cats alone- even birds, turtles etc can be included for this theme. Have a horse? Ride it to your wedding venue! 9. Have them carry the camera! Attach a Go Pro to your pet’s harness and you have your own wedding photographer for the day! It will be fun to watch the day later from your pooch’s perspective! There are many innovative signage and props for wedding ideas for dog lovers or cat lovers. 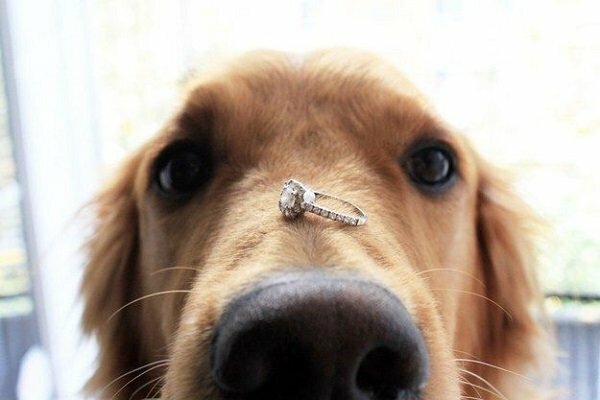 Will you marry my dad/mom? 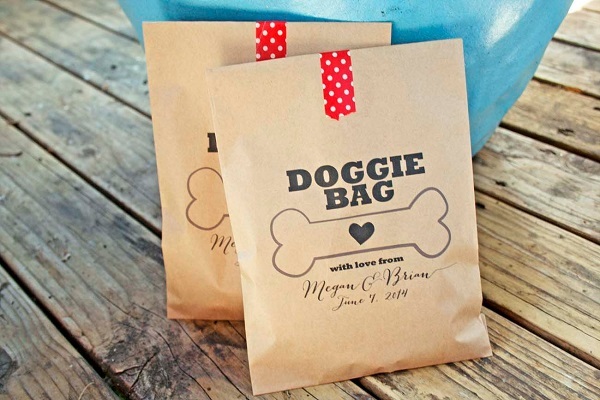 Give these doggy bags to guests for their wedding favors. Give your guests seeds to feed the birds/pigeons or ducks in parks-an eco friendly way to get in touch with nature. In lieu of gifts have guests donate to animal welfare homes or rescue organizations. 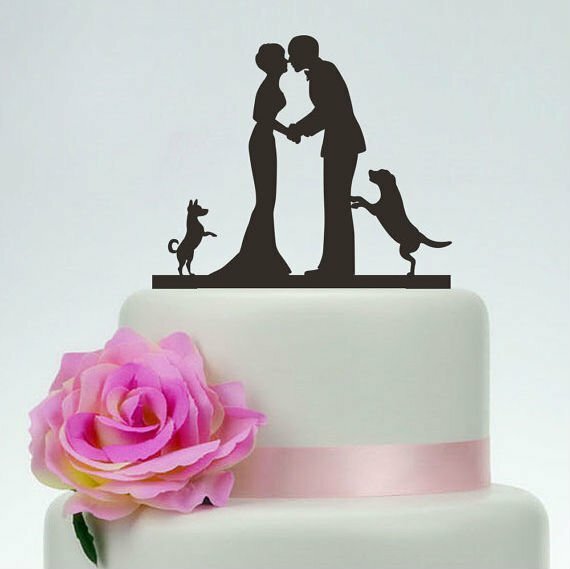 Cat and dog cake toppers are readily available online.